“THE WRITER” UPDATE: For Those Who Nominated – Your Free Copy Is On Its Way Soon! 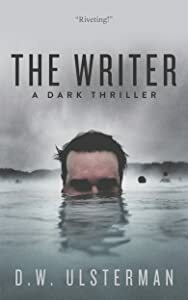 UlstermanBooks.com > Entertainment > “THE WRITER” UPDATE: For Those Who Nominated – Your Free Copy Is On Its Way Soon! Just wanted to give readers a quick update on THE WRITER‘s status. The publisher has indicated it is to be entering its pre-release promotional stage within days. This means that all of you who were so kind and supportive to nominate it for publication will be receiving your FREE e-book version very soon! I encourage all of you, once you finish your free version, to then please take a moment to leave a review at the book’s Amazon page. These reviews will then become part of the book’s pre-release campaign and will greatly aid in its further success once the novel becomes available to the general public. The publisher has indicated their enthusiasm for the story, thinking it will find a happy home among readers who enjoy mysteries and love stories. Thank you once again to all of you who have been so supportive of my work. ALERT: Vote For My Latest Novel & Get A Free Copy!